Taking care of your swimming pool means keeping it clean. This means brushing and sweeping your pool on a regular basis. If you feel like you don’t have the time or energy to do this weekly, then an automatic pool cleaner is the perfect solution. They will save you time and money by removing debris from your pool regularly, extending the life of your finish and your filters. 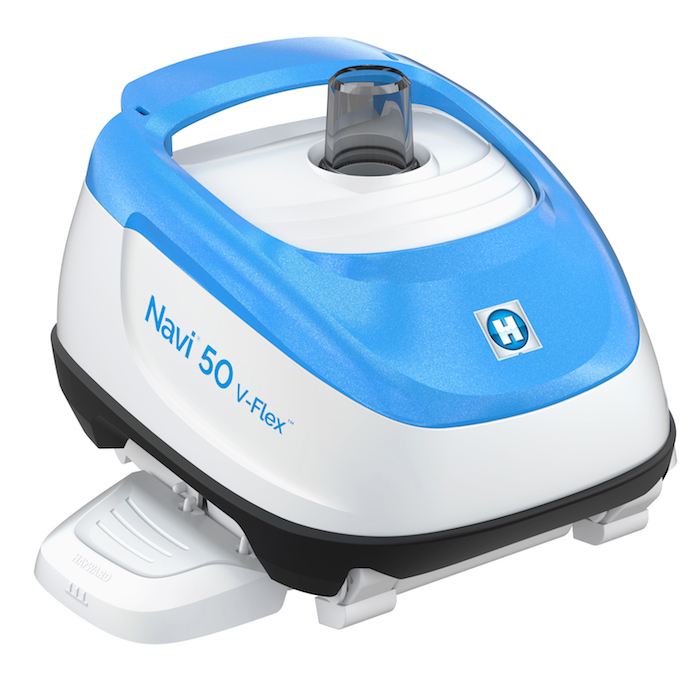 Which type of automatic pool cleaner is best for you? 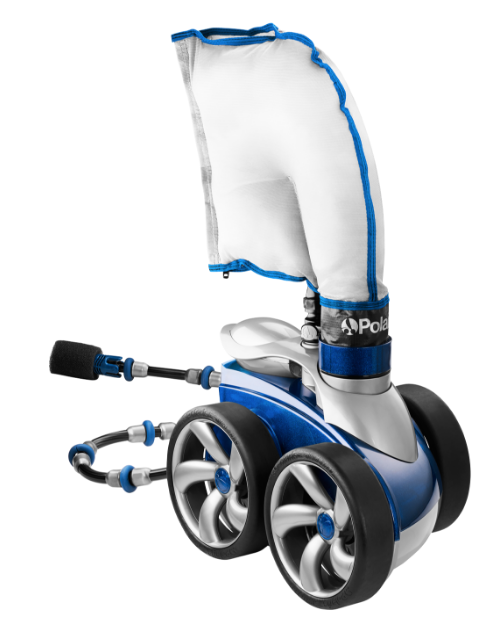 There are three main types: suction, pressure and robotic. This article will explain each type as well as run through the most popular models of 2018. 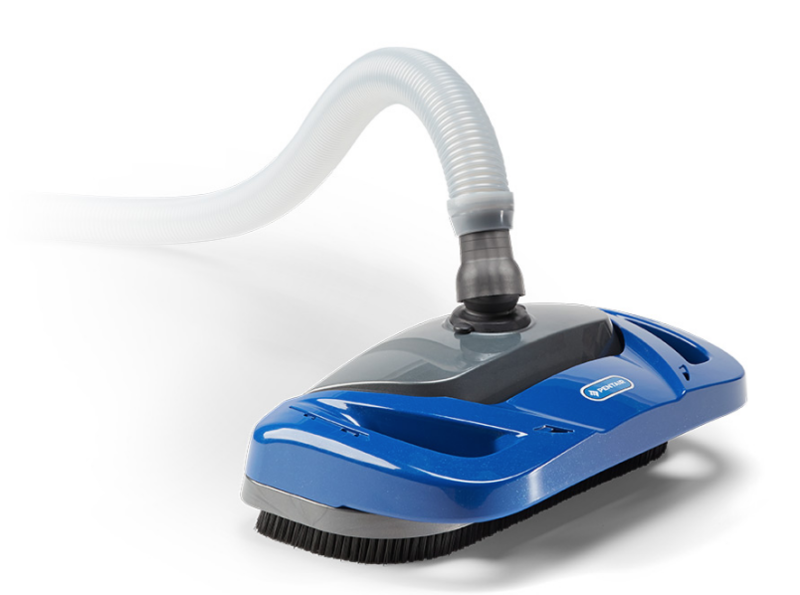 Suction cleaners are the most affordable of the cleaner types. This is partly due to the fact that they use your pool’s existing equipment to function. They use your pool pump as the power for movement and suction and your filter as a disposal for debris. While they are more economical to purchase, you will spend some extra time cleaning your filter because of this. Luckily, Pinch A Penny carries a full line of products for cleaning filter cartridges. These cleaners have a mechanism that varies their path to cover the entire bottom of your pool, and there are also certain types that will clean the walls of the pool. A suction cleaner connects to the skimmer or a dedicated suction line, and your pump must be on in order for it to run. 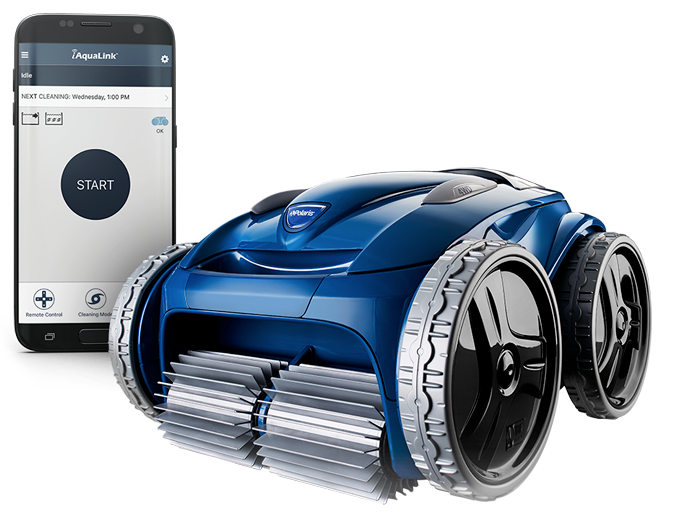 There are many different models, including those that have wheels, tracks or discs. 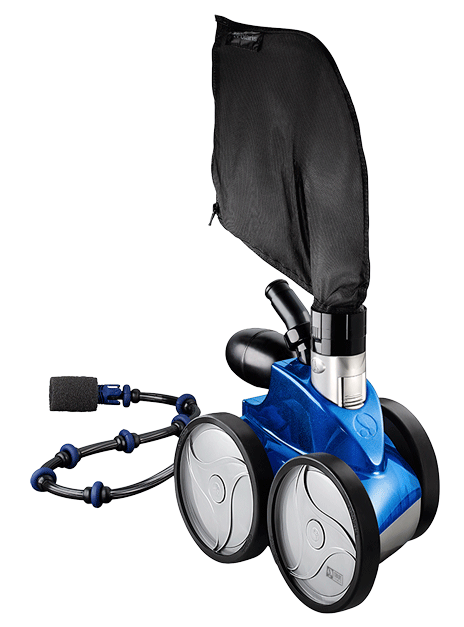 Regardless of which model you choose, you should have a pool vac-lock installed on the suction line to prevent injuries from the suction. Pressure cleaners use pressure from your pool’s pump to create a vortex of water. This is how they are able to lift debris into the cleaner. The dirt, leaves and other unwanted items are then stored in an onboard filter bag. This means less debris and dirt in your pool filter so you can afford to clean it less. They are especially good at cleaning up large debris, which makes them ideal for non-caged pools, pools without screens and pools with tress nearby. 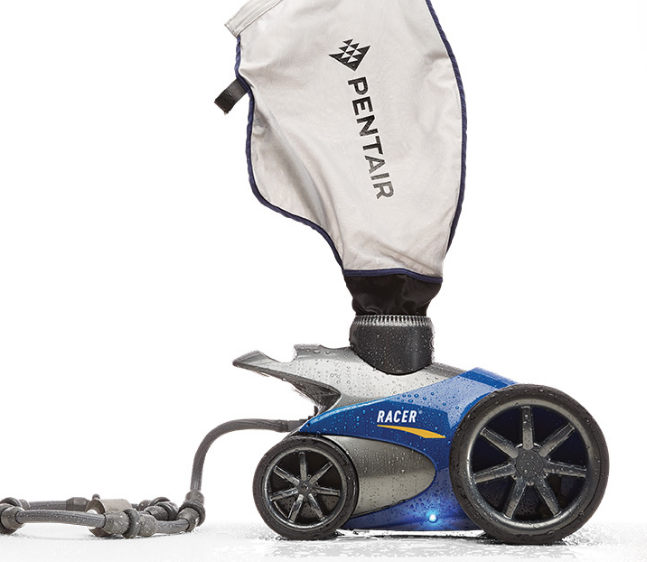 Pressure cleaners hook into the return lines of your pool, and some models even require a separate booster pump to power their movement and cleaning action. These cleaners are low maintenance and durable. As with suction cleaners, some models will also clean the walls of your pool. • Night Cruize LED light technology- see at night! 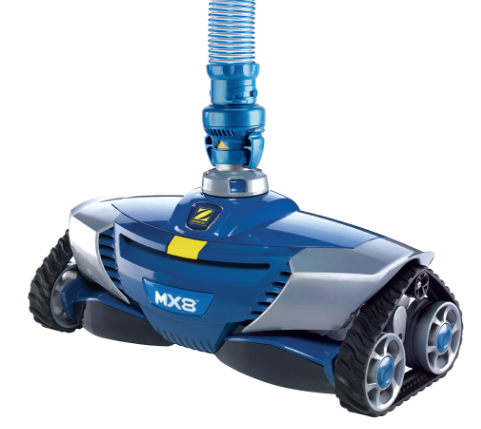 Many people consider robotic pool cleaners the best option available. 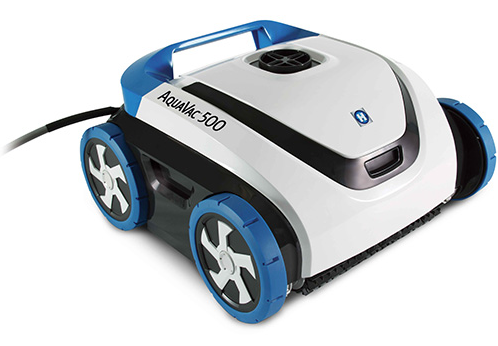 Robotic cleaners have the advantage of being self-contained units, meaning that they do not require the use of your pool’s pump or filter. 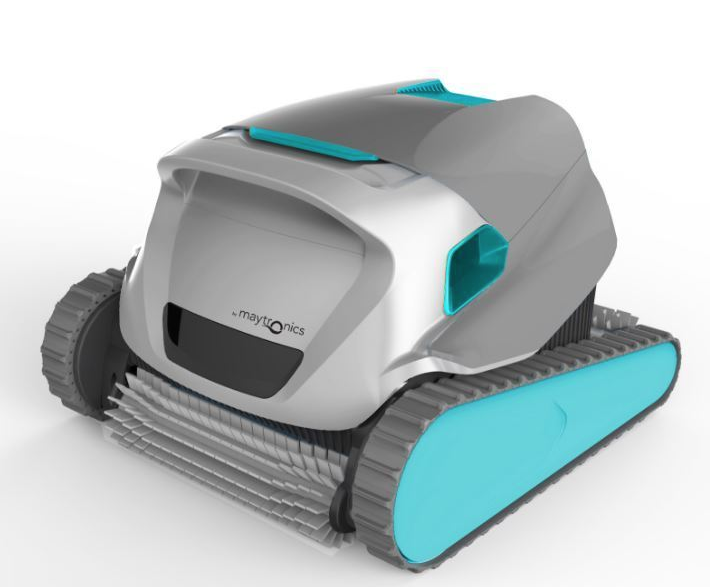 Robotic cleaners provide their own suction and movement, and they filter the water as they clean. They clean up large and small debris easily. All you have to do is plug them into a low voltage transformer and off they go. Debris is collected in an internal trap you clean upon removal. These cleaners use software to determine the best route for cleaning your pool in an efficient manner. Certain high-end models can also be remotely controlled by phone or put on programmable cycles. They do well at cleaning walls and tile lines. These units are the most expensive to buy, but they prolong the life of your pool’s filter and are cheaper to operate than the other types of pool cleaners. If you still have questions, come into a local store and talk to one of our friendly associates. Regardless of which model you choose, the experts at your local Pinch A Penny will help you keep it in great shape.